At the same time, Congress is considering bad legislation that would gut the vital Marine Mammal Protection Act — slashing critical protections for majestic ocean wildlife when we need them more than ever. Tell your representative to stand strong against Trump’s giveaway to Big Oil and say NO to weakening this landmark Act — for the sake of whale survival. The Trump administration just gave fossil fuel companies the green light to explore for oil and gas off our Atlantic coast using deafening seismic airguns that harm marine mammals. At the same time, Congress is considering bad legislation that would gut the vital Marine Mammal Protection Act in order to fast-track seismic blasting and oil and gas drilling for Trump’s fossil fuel industry allies. Tell your representative to stand strong against Trump’s giveaway to Big Oil and say NO to weakening critical protections for majestic ocean wildlife — for the sake of whale survival. Dear Representative: Please vote against H.R. 4239, the "SECURE American Energy Act," and H.R. 3133, the "Streamlining Environmental Approvals (SEA) Act." These dangerous bills would gut critical protections for whales, dolphins, seals, manatees, and other ocean wildlife under the Marine Mammal Protection Act. They would help fast-track oil and gas exploration and drilling everywhere, including off our Atlantic and Arctic coasts, and threaten the lives of to huge numbers of marine mammals. We must do everything we can to stop this dangerous legislation from moving forward. 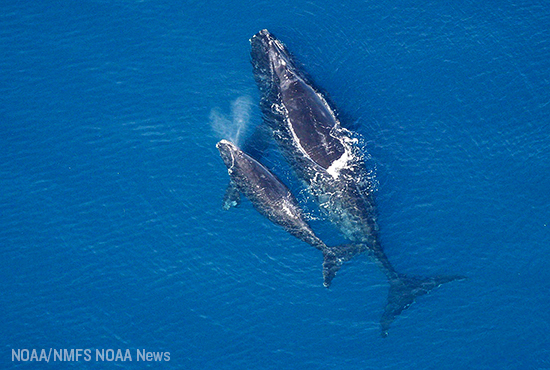 These protections are even more vital in light of the Trump administration's recent decision to allow oil and gas exploration off the Atlantic coast using deafening seismic airguns. The blasts from these airguns will deafen, injure, and kill countless marine animals and would help drive the critically endangered North Atlantic right whale to extinction. Please don't let the Trump administration give another handout to fossil fuel companies at the expense of our oceans and marine wildlife. Oppose H.R. 4239, H.R. 3133, and any bill that would jeopardize the lives of marine mammals for fossil fuel profits. Thank you.